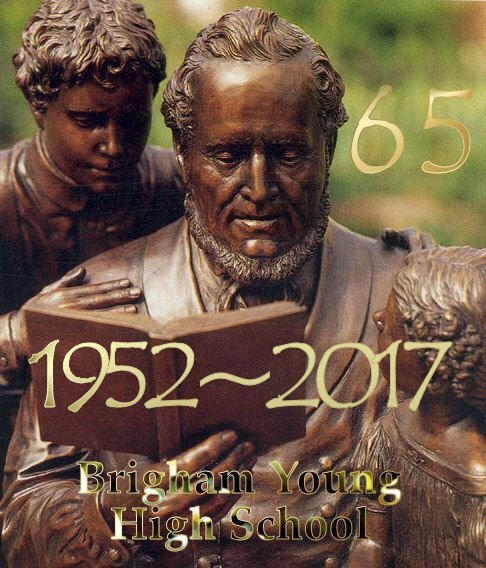 Reunion Date: Thursday, September 7, 2017 at the Brick Oven in Provo at 1 p.m. For additional information about the class and reunion you can contact Reed Miller in American Fork, 801-492-0096. We hope this will be satisfactory with everyone. The program will be each of us giving a short summary of our life’s activities since graduation and what you want to share in this regard – and just visiting with each other. If you are unable to attend, please send us a brief sketch of your life since our last reunion to be read at the Reunion. As a committee, we have been making plans for our Reunion. As stated in our last notice, the Reunion will be held in September rather than in the summer as in past years. Since we contacted you last, we have had some unfortunate happenings with two members of our committee. Geral Wilde has passed away with complications of stomach cancer, and Janine McPhie Thorne is recuperating in a rehab center as a result of a fall and broken hip. We send our condolences to Geral’s family and our best wishes to Janine in her recovery. Directions: Follow 1230 North (Bulldog Blvd.) driving East - from University Avenue. The building is just at the top of the hill to the right. Free parking is directly across the street. LUNCHEON: A sandwich buffet - sandwich rolls, meat and cheese, condiment platter, salads, fruit, and a light dessert. 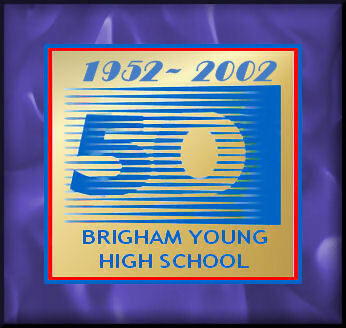 If you are unable to attend, please send us a brief sketch of your life since graduation to be read at the Reunion. 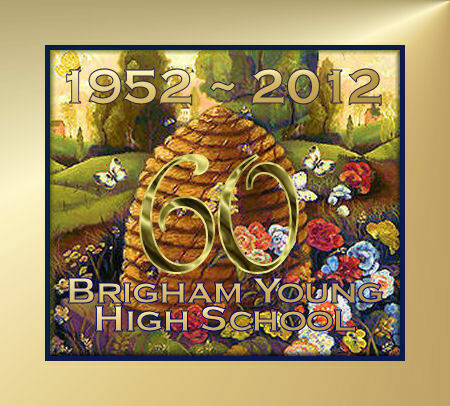 The 55th Year Reunion of the BYH Class of 1952 and honorary members was held on June 16, 2007, at Thanksgiving Point. Thanksgiving Point is located between downtown Lehi and the Point of the Mountain, just off Interstate 15. The reunion began at 5:30 pm in the Velvet Room, which is located upstairs in the main restaurant building. The festivities continued until 9 pm. Registration was handled by Margaret Hayward Taylor. 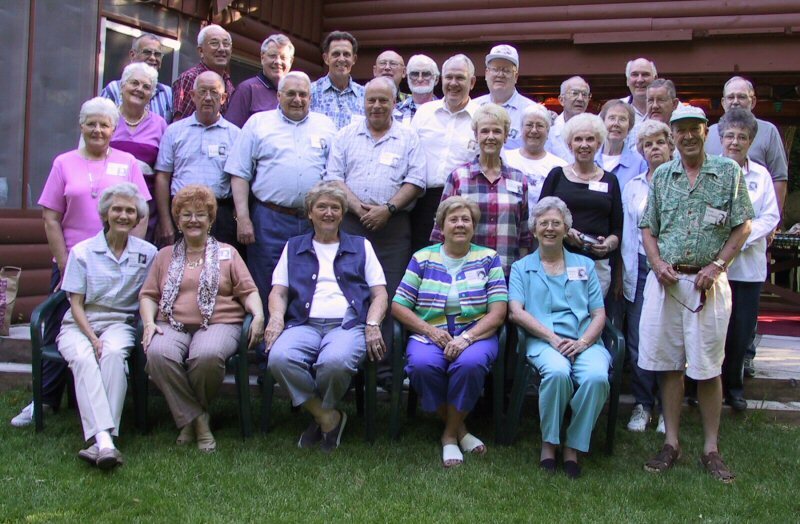 The BY High Class of 1952 held its 50th Year Reunion at Jerry Weight's cabin at Wildwood in Provo Canyon. It was on the Saturday over the July 4th weekend in 2002. As for the high quality of the photo ... I don't know if it's the 3.2 megapixel camera or the fact that we're so old we don't move around much. This was after we had eaten a big dutch oven dinner so some of us needed a nap. When I drove by Wildwood the other day, going skiing at Sundance, there was almost three feet of snow where we were located for the photo.